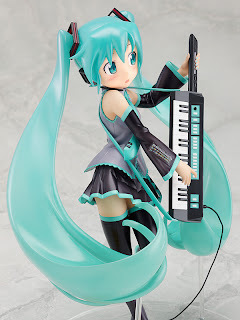 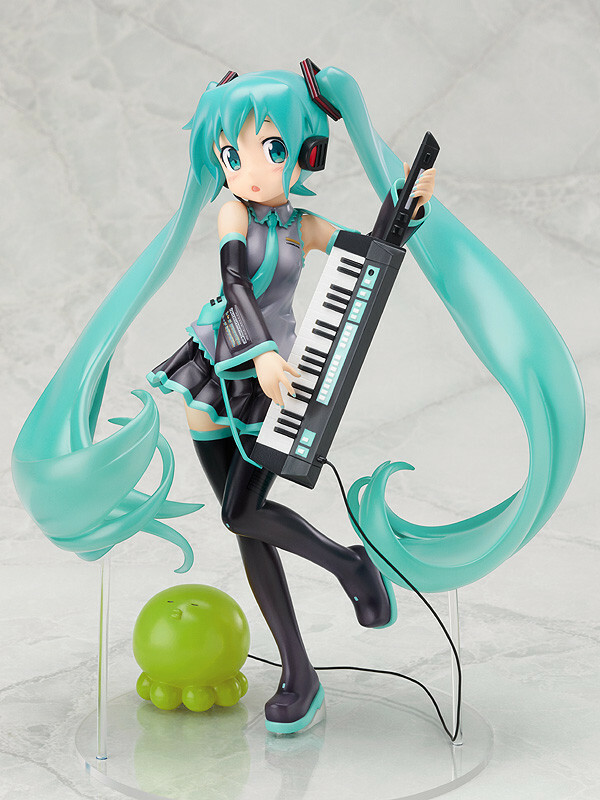 The 'POP & CUTE' version of Miku! The popular version of Miku illustrated by Hiro Kanzaki for Hana Soumen P's popular Vocaloid videos is getting her very own figure rendition! 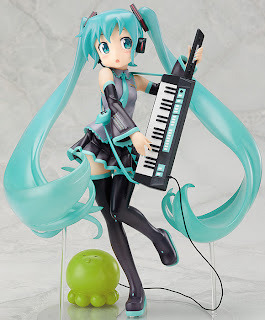 Her cute, younger look, shoulder keyboard and even the strange green creature acting as a sound source for the keyboard are all sculpted down to the finest of details - creating a lovely figure of Hiro's amazing illustration. 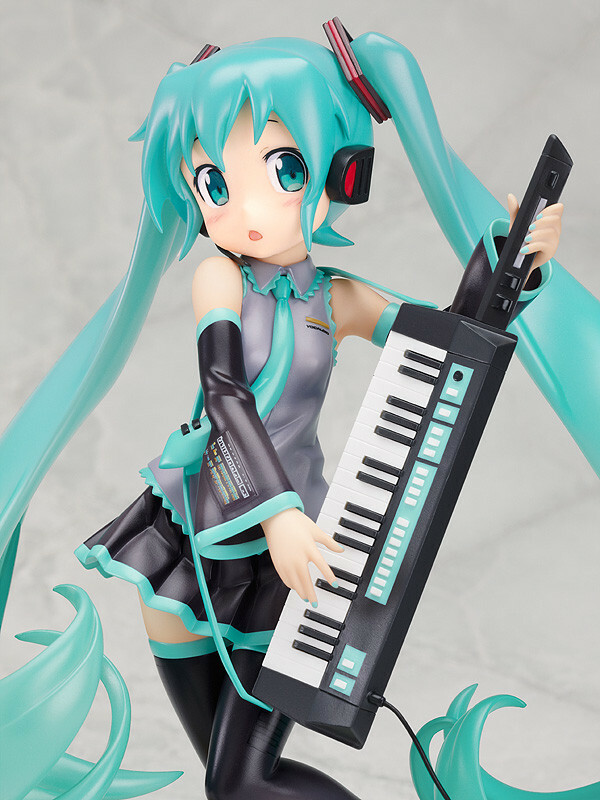 Enjoy a whole different charm from the lovely Miku! 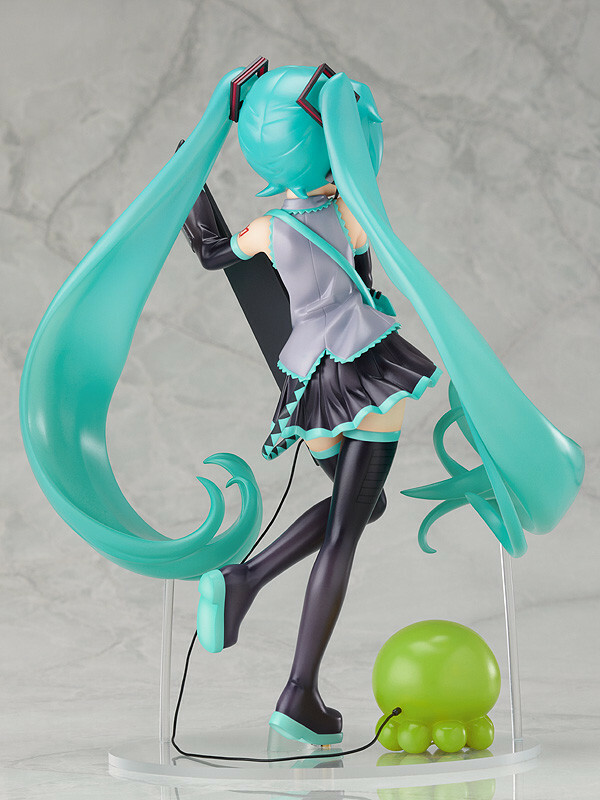 Specifications Painted 1/7th scale PVC figure with stand included. 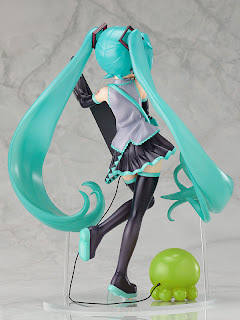 Approximately 200mm in height.